Totalizers are aggregate functions applied to table columns in order to obtain a unique value, which will shown at the bottom of the column. They are only meant as a display option (storing the totalizer is not currently possible). To store the total value of a column please refer to: store the total value of a column using expressions. •Count: Returns the total number of records in a column (row count). •Max: Returns the largest value of a column. •Min: Returns the lowest value of a column. •Average : Returns the average (mean) for a column. •Sum: Returns the sum of values of a column. In general totalizers apply only to numerical type columns (integer, float, currency, etc). Only the Count totalizer can be applied to any kind of column. Totalizers are available in the Advanced tab of the columns properties. 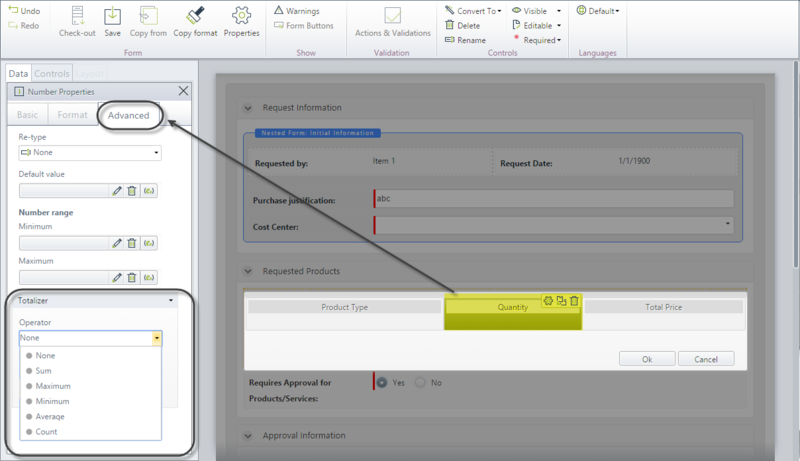 To perform an aggregation on a table column, select the table control and click the Edit Columns button. 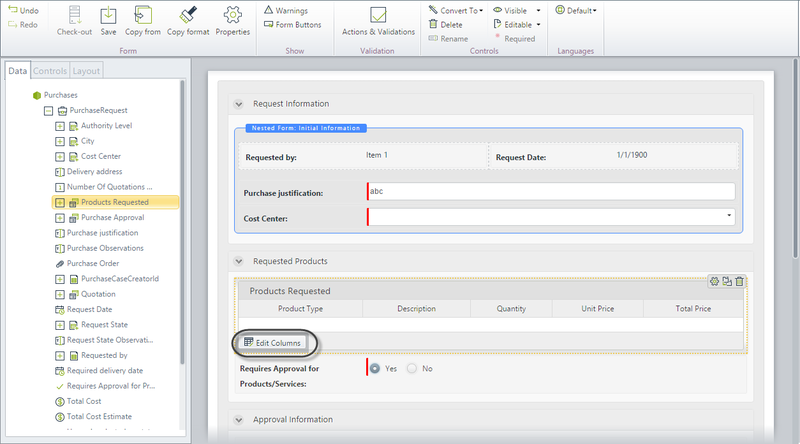 In the Columns edition window, select the column for aggregation and go to the Advanced tab in the column properties. Select the desired aggregate function under the Totalizer option. When a totalizer is set for a column, the pagination for that table is disabled. 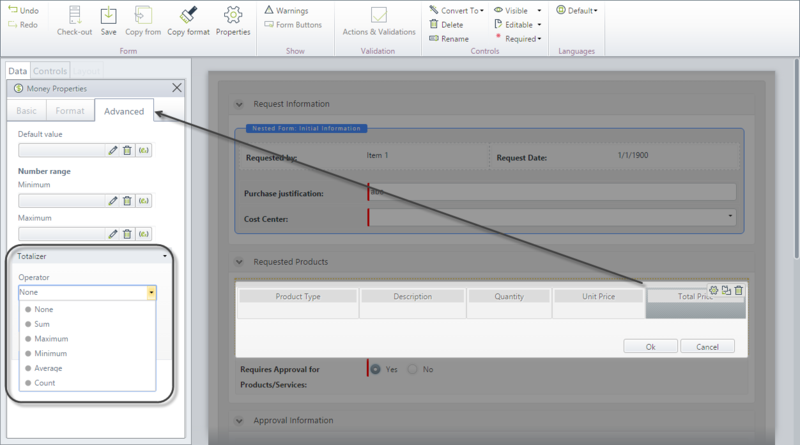 In a Purchase Request process, it is desired that the total price of all products requested is displayed at the bottom of the table. In order to do this, we will apply an aggregated function to the Price column of the Products Requested table. 1. 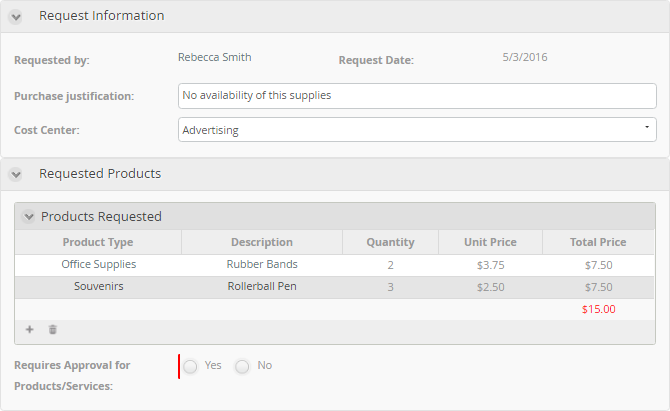 Go to the Activity Form and select the Products table; then click the Edit Columns button. 2. In the new window, select the Total Price column and go to its Advanced properties. 3. In the Operator drop-down list, select the function Sum. 4. 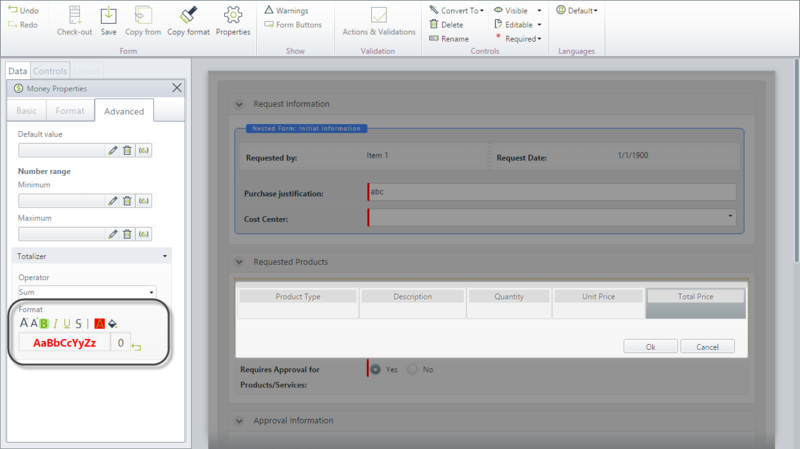 You can apply a custom format to the aggregated value. Change it font size, color and background as you desire. 5. Test the Totalizer in the Work Portal. The following image shows the total returned by the Sum aggregated function.